Also known as Biohazard: Umbrella Corps in Japan. Controller recommended, as game suffers from poor mouse input. Ultra-wide resolutions not detected. Attempting to edit cfg file only results in a pillar-boxed 16:9 image. Default FOV is uncomfortably close. Borderless fulscreen always on. No option for exclusive fullscreen. Set option to "variable" for uncapped framerate. Some keys cannot be bound properly, such as RCtrl and ↵ Enter. 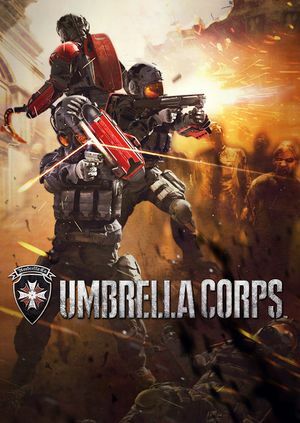 See Helix Mod: Umbrella Corps (DX9). ↑ 1.0 1.1 File/folder structure within this directory reflects the path(s) listed for Windows and/or Steam game data (use Wine regedit to access Windows registry paths). Games with Steam Cloud support may store data in ~/.steam/steam/userdata/<user-id>/390340/ in addition to or instead of this directory. The app ID (390340) may differ in some cases. Treat backslashes as forward slashes. See the glossary page for details.